Make her feel cherished on your next anniversary with this sublime 1 1/4 CTW Antique Vintage Princess and Round Diamond Wedding Band Anniversary Ring. With its forty-four lustrous diamonds and polished sheen, your token of enduring love will cause tears of joy to come to her eyes. Make each moment count. 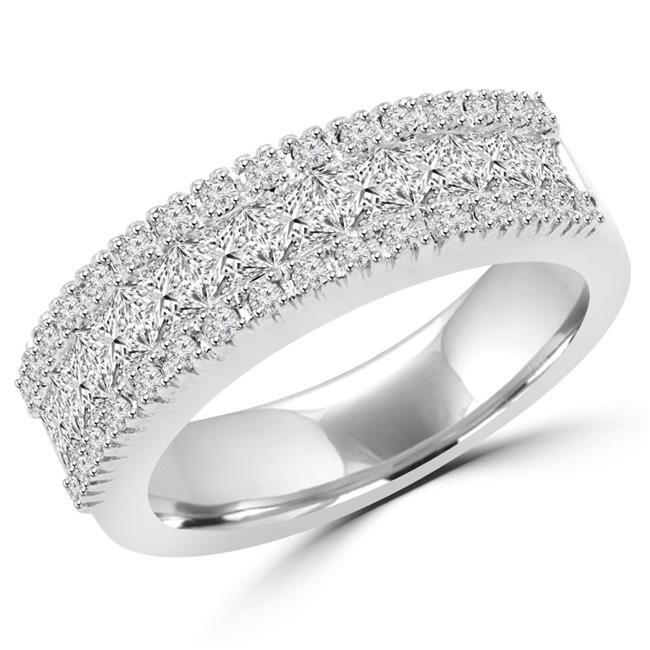 Reignite your love for one another with this sensational anniversary ring. The princess diamond has an impressive 1.04 CTW, a color rating of F-G and a clarity range of VS2-SI1. The round diamond has a 0.24 CTW, a color rating of F-G and a clarity range of VS2-SI1. The metal weight is 5.33 grams.